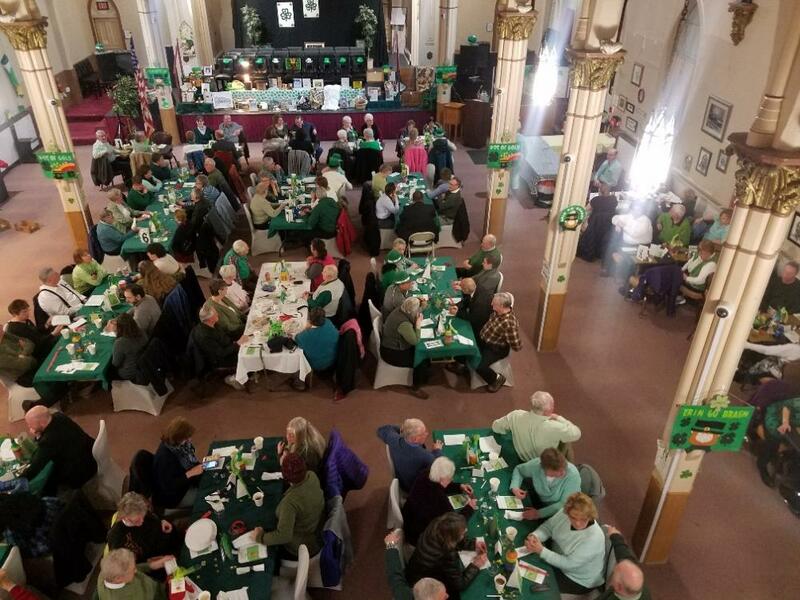 More than 100 people attended the 15th annual St. Patrick’s Day Fundraising Dinner for St. Kieran Community Center for the Arts in Berlin hosted at the former church on Emery Street in March. 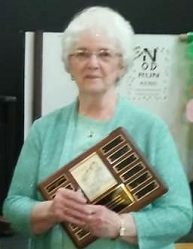 The Norman and Alice Gagne Award for Volunteerism and Dedication&comma; which recognizes a volunteer who is dedicated to the mission and vision of St. Kieran Community Center for the Arts&comma; was presented Sally Tourangeau. The award is named for Norman and Alice Gagne who devoted time&comma; energy and knowledge to the historic preservation of the St. Kieran building. Norman began caring for the building years ago as one of Good Shepherd Parish’s building/groundskeepers. He continued his work as the facility transitioned from an active Catholic Church to a local performing arts center in 2000. Sally Tourangeau is a former member of St. Kieran Church&comma; employee&comma; volunteer and champion for the arts in the North Country. She has a wealth of knowledge about the history of the building&comma; the grounds&comma; the systems in place and the work that needs to be done&comma; says Monique Lavertu&comma; executive director of St. Kieran Community Center for the Arts.